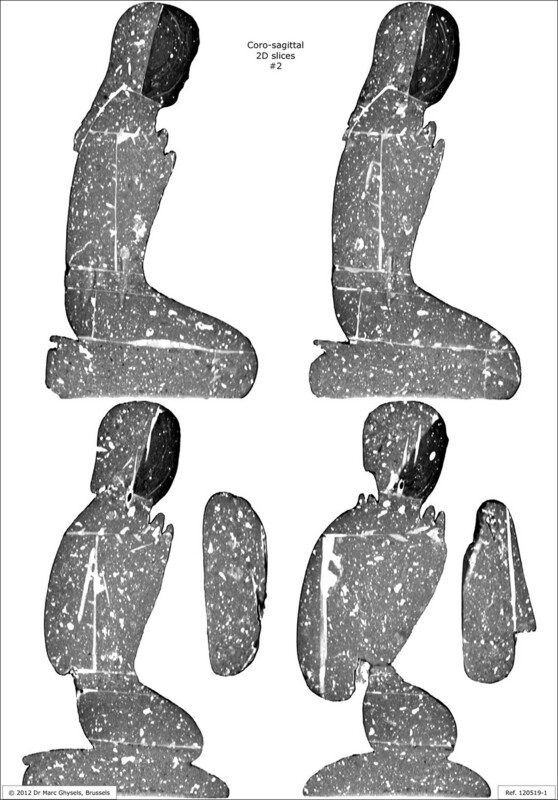 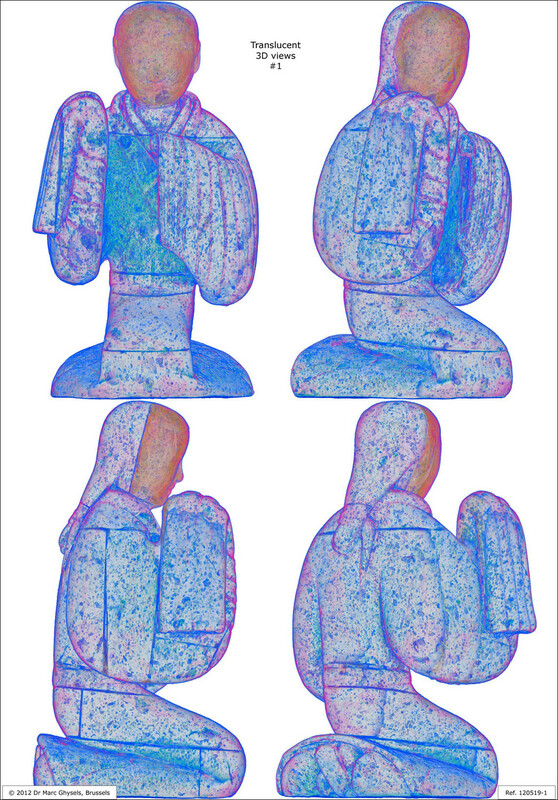 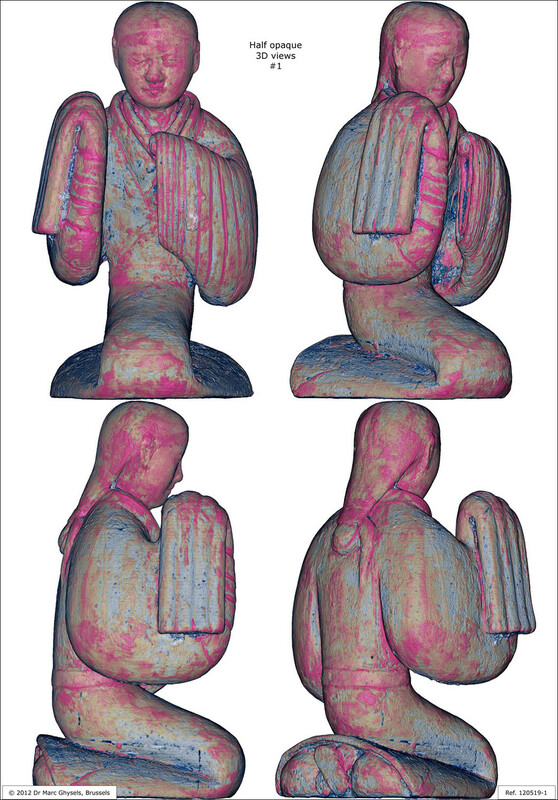 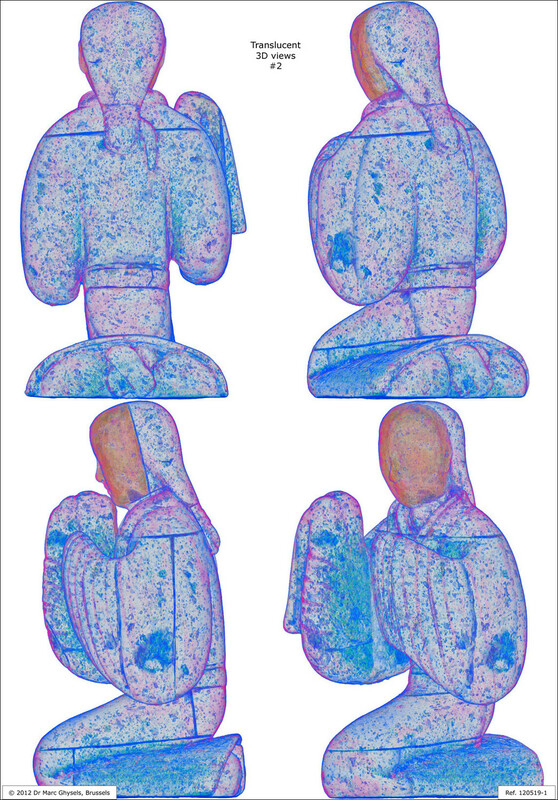 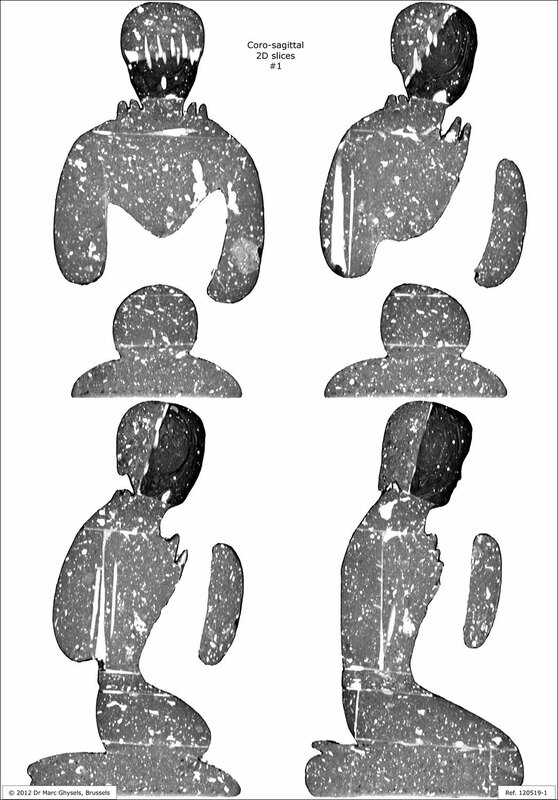 Each diagnostic CT scan of a statue is accompanied by the production of a detailed and fully illustrated radiological report. 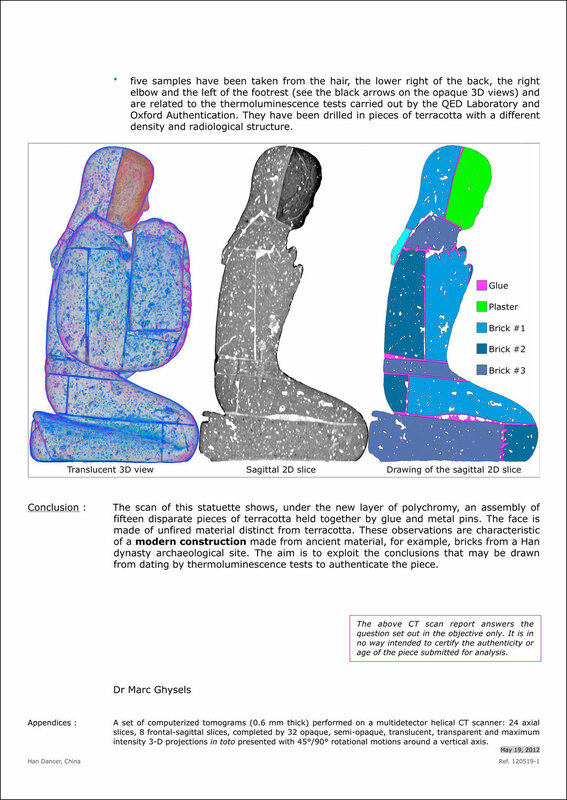 The reports together with plastic-coated certificates are printed in color, put in plastic folders and sent overnight by FedEx. 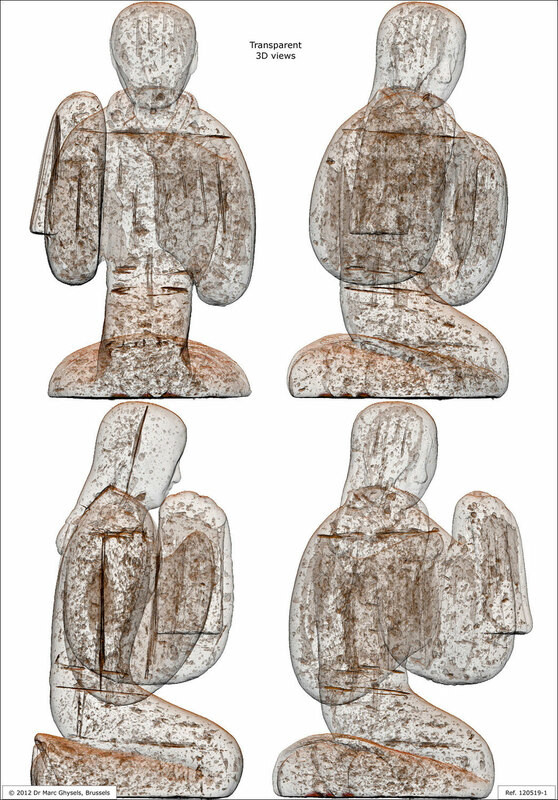 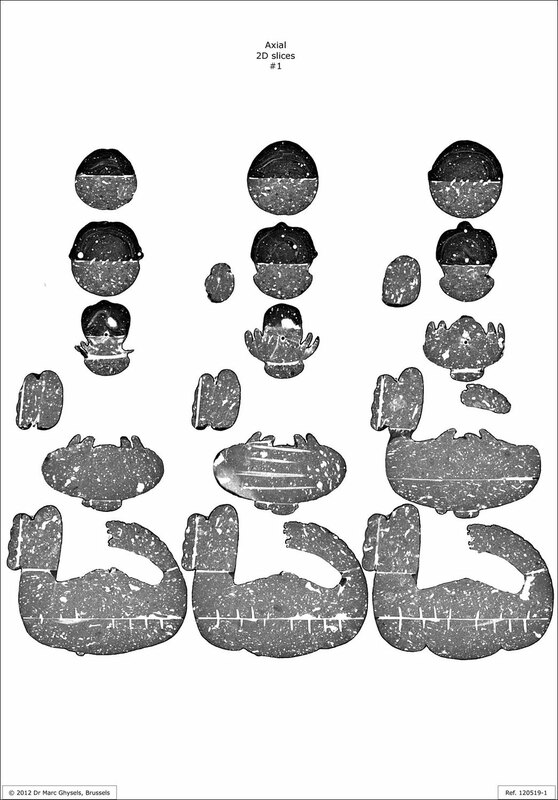 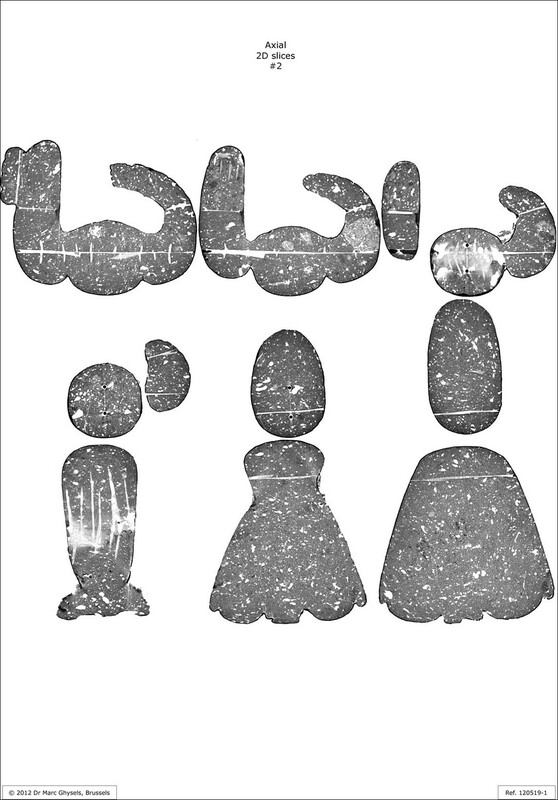 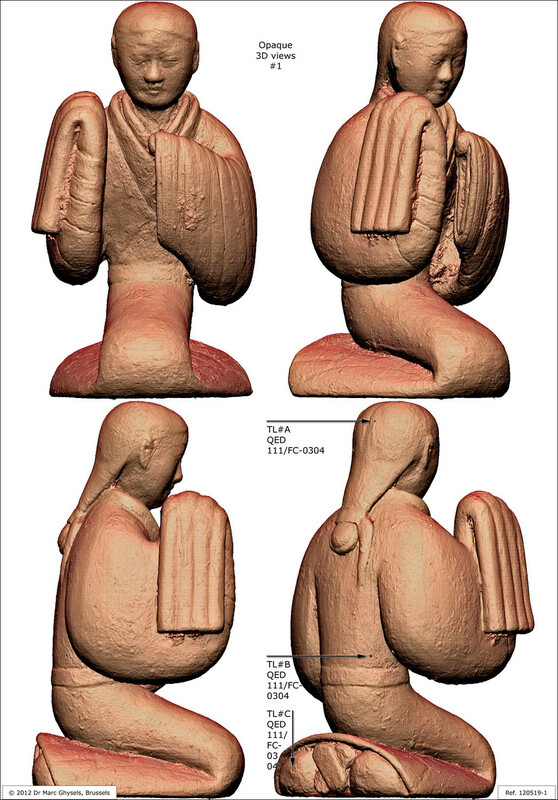 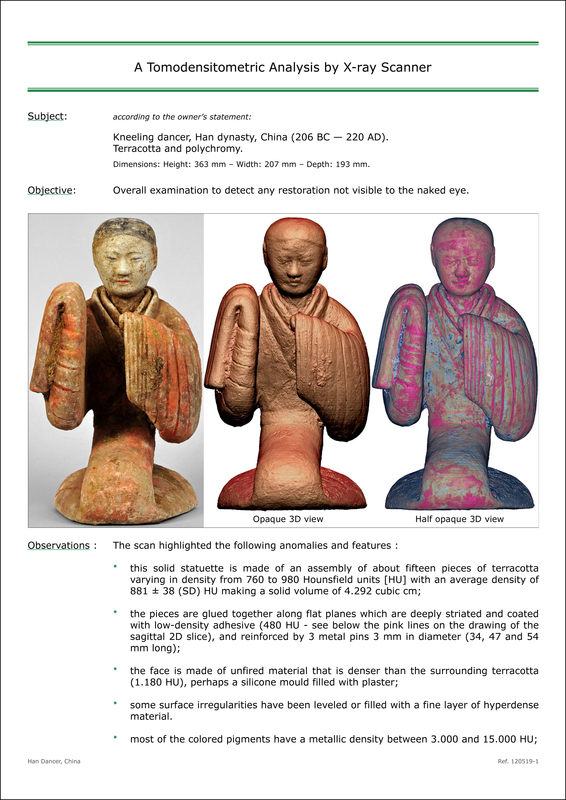 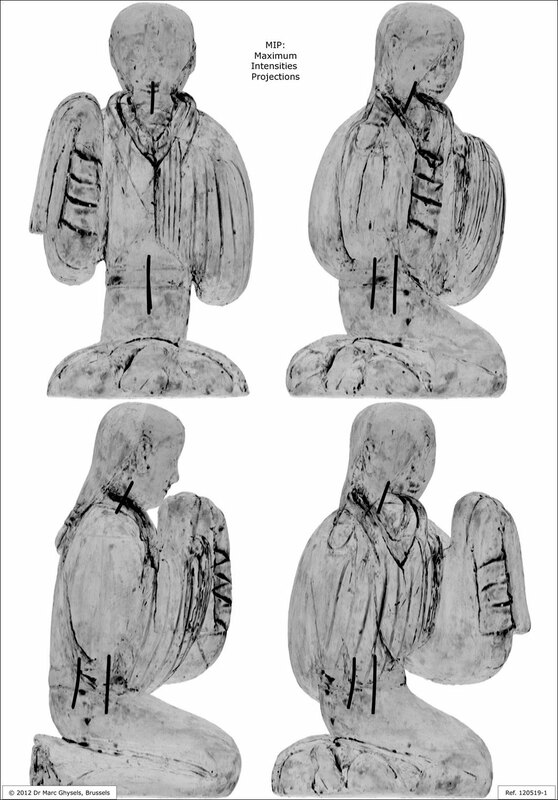 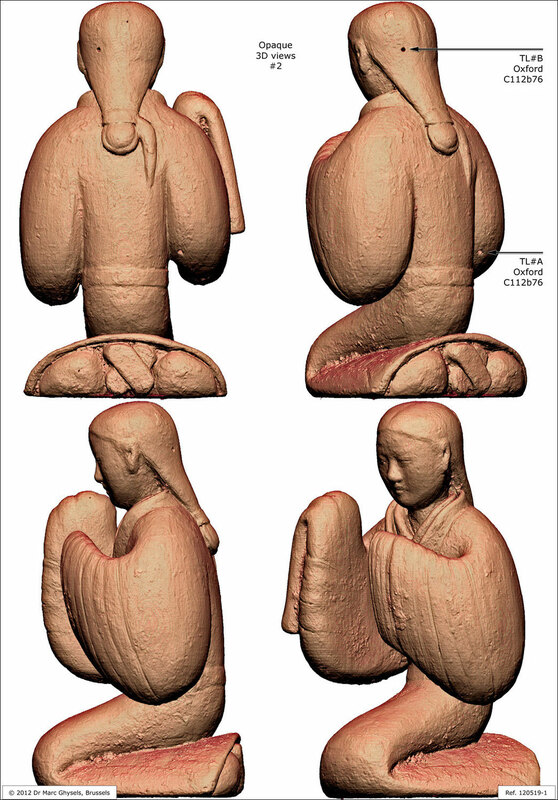 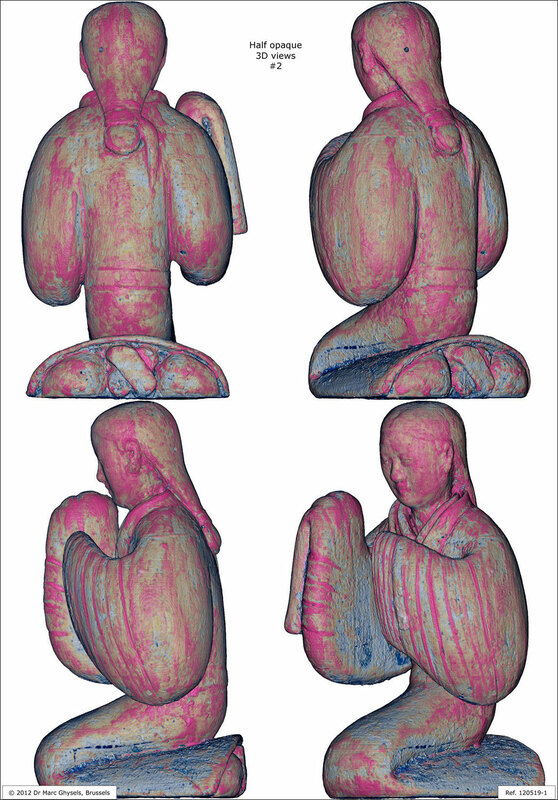 Below is an example of a radiological report regarding the diagnostic CT scan of a Chinese kneeling dancer in terracotta.